The ability to fly like a bird is something that is shared by no other flying object except the Bionic Bird! 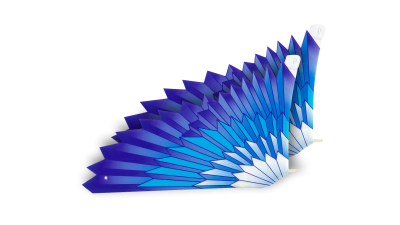 Watch Bionic Bird fly majestically towards the sky, turn, glide, and skilfully skip over hedges and treetops. With Bionic Bird comes the Flying App©, an intuitive, easy-to-learn application that can be mastered in less than five minutes. You’ll get a full control of your bird handling the phone in only one hand! 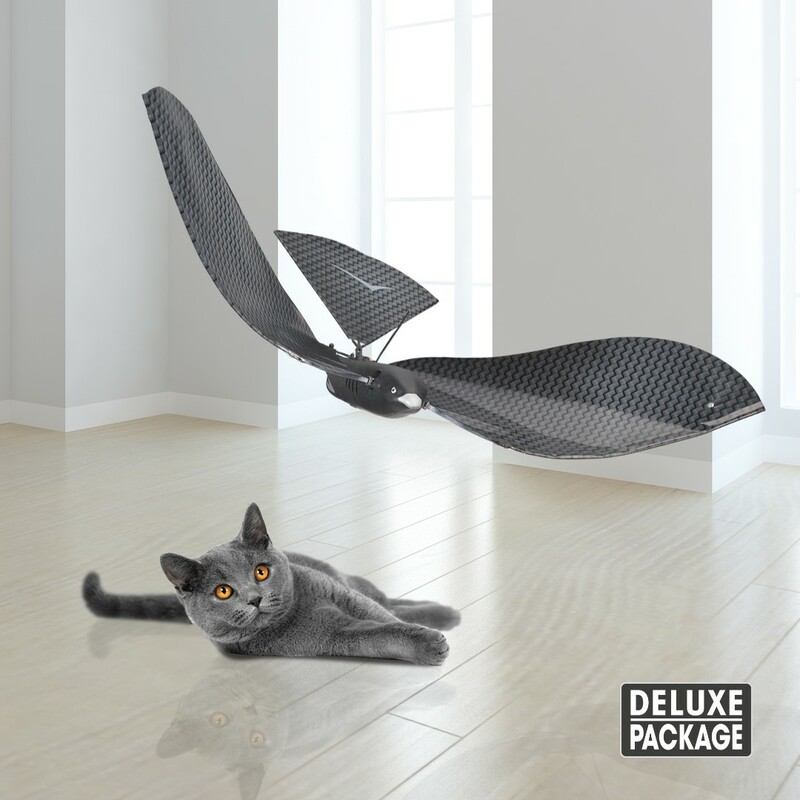 Plus Bionic Bird can also fly in a living room if its tail is set in slow mode. 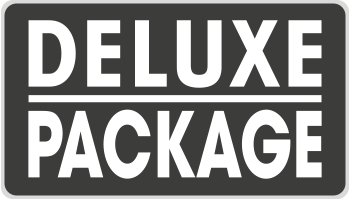 The complete package for the ultimate experience in the middle of nature with complete autonomy. In the “all options” box you’ll find the revolutionary egg-shaped portable charger, as well as a pair of spare wings. With its internal battery, the egg allows you to charge Bionic Bird in the record time of 12 minutes, and 10 times on one charge in the middle of nature! No complex plugs here, just place the bird on its egg and its magnetic contact chargers will do the rest. 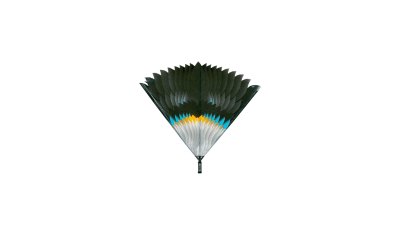 The kit contains 1 BLUE/BLACK tail for Avitron v2.0. This is the color of the Avitronv2.0 version but it is suitable for all models! The product is composed of Mylar, carbon fiber and liquid cristal polymer. 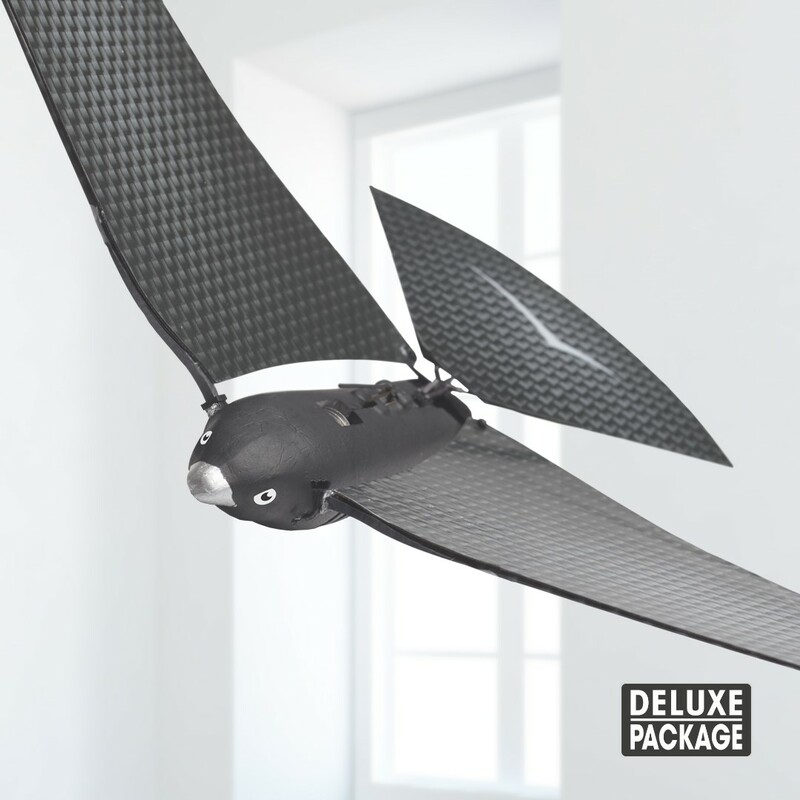 The kit contains 1 tail “carbon designed” for Bionic Bird. This is the color of the Bionic Bird version but it is suitable for all models! 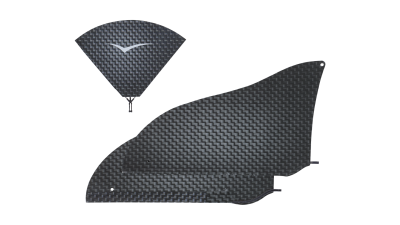 The product is composed of Mylar, carbon fiber and liquid cristal polymer. 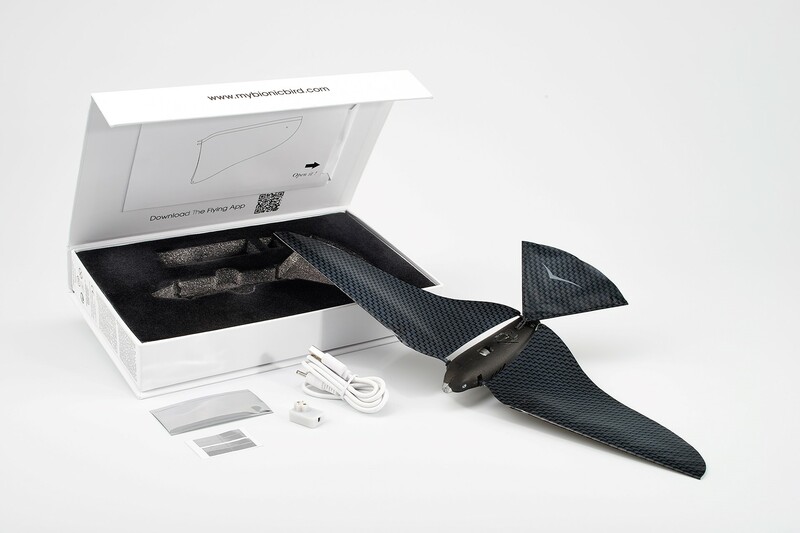 The kit contains 1 pair of black wings and 1 tail “carbon designed” for Bionic Bird. 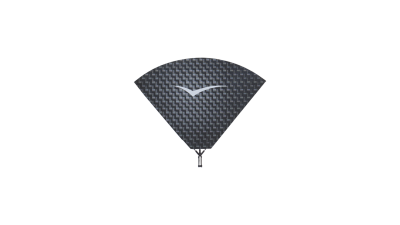 This is the color of the Bionic Bird version but it is suitable for all models! The product is composed of Mylar, carbon fiber and liquid cristal polymer. The kit contains 1 blue tail for Avitron KidZ. This is the color of the Avitron Kidz version but it is suitable for all models! The product is composed of Mylar, carbon fiber and liquid cristal polymer. 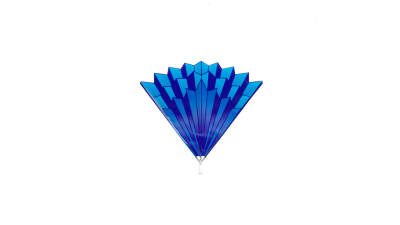 The kit contains 1 pair of blue wings for Avitron KidZ. This is the color of the Avitron Kidz version but it is suitable for all models! 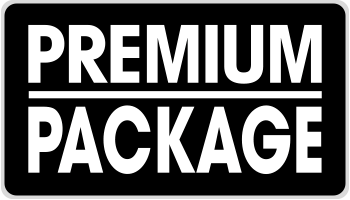 The product is composed of Mylar, carbon fiber and liquid cristal polymer. The kit contains 1 red tail for Avitron RC2.4G. This is the color of the Avitron RC2.4G version but it is suitable for all models! The product is composed of Mylar, carbon fiber and liquid cristal polymer. The kit contains 1 pair of red wings for AvitronRC2.4G. This is the color of the Avitron RC2.4G version but it is suitable for all models! 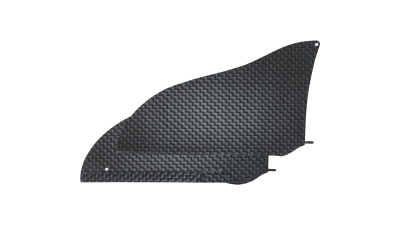 The product is composed of Mylar, carbon fiber and liquid cristal polymer. The ability to fly like a bird is something that is shared by no other flying object except Bionic Bird! 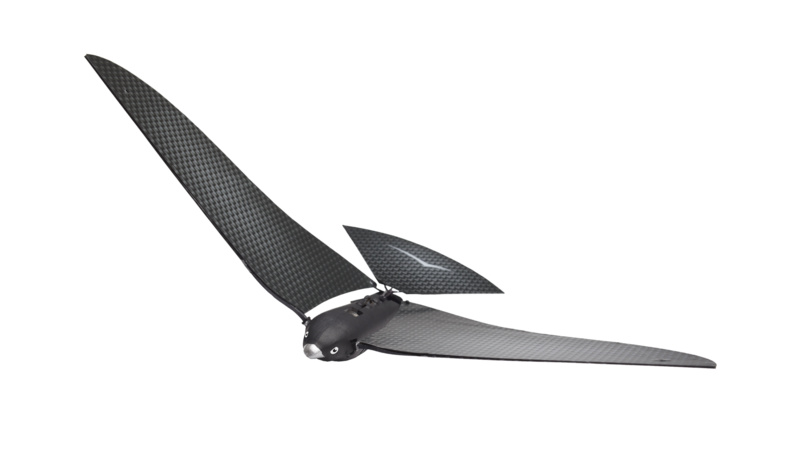 Watch Bionic Bird fly majestically towards the sky, turn, glide, and skilfully skip over hedges and treetops. With Bionic Bird comes the Flying App©, an intuitive, easy-to-learn application that can be mastered in less than five minutes. 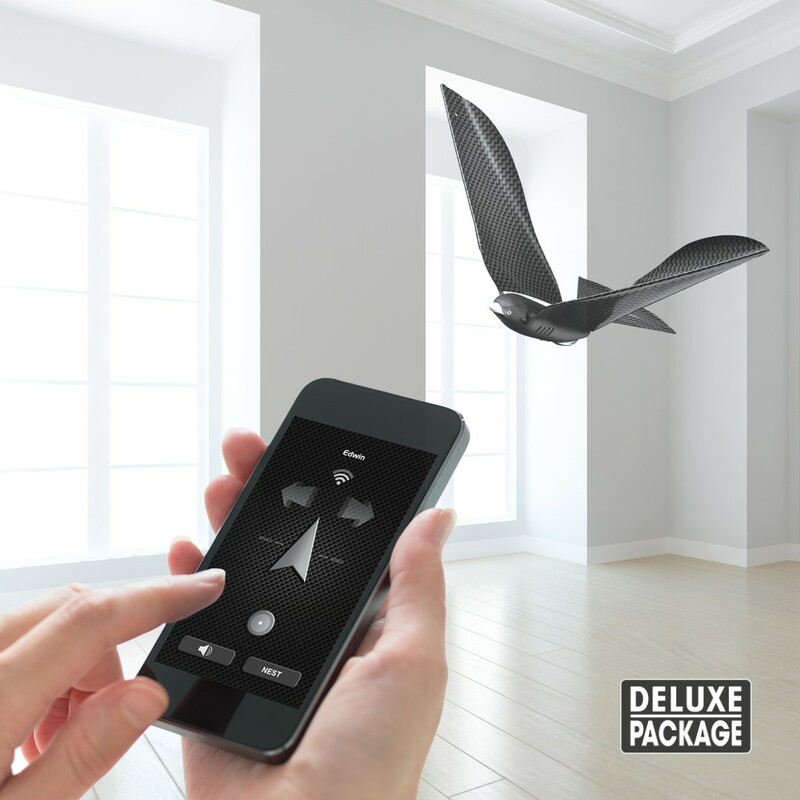 You’ll get a full control of your bird handling the phone in only one hand! 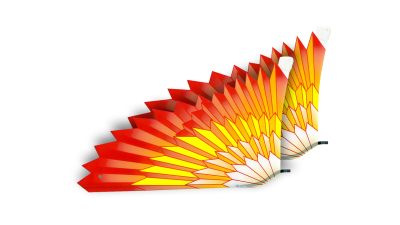 Plus Bionic Bird can also fly in a living room if its tail is set in slow mode. 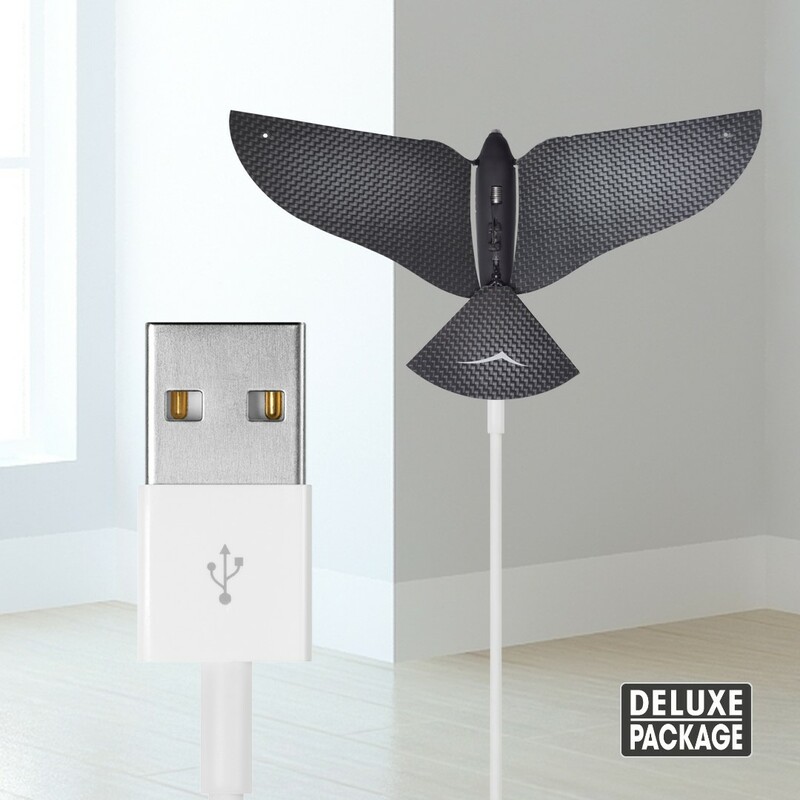 In its velvet-lined luxurious box set, the Deluxe package contains: 1 complete bird with its pair of wings (separated – simply attach the wings to be ready to fly), 1 QR code to download the free App, 1 USB cable and its magnetic connector to charge the bird via USB or your smartphone adaptor. Note: the portable egg charger is not included but can be purchased separately as an accessory.